Things feelin' a lil stale? How about some brand new nails! Try a fresh pop of color, some TLC, or even a little shine. New nails will have you feeling better in no time! 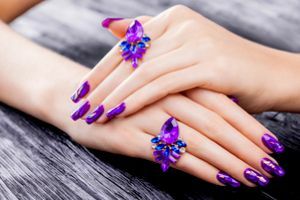 Answer a few questions about your personality, activities, preferred style and lifestyle to find the perfect manicure. The way you see nails will never be the same. Break free from manicure monotony! Nothing feels better than fresh, new nails. Take this quiz to find your perfect style. You'll be ready for anything!